David Penglase is a behavioural scientist, conference speaker and masterclass facilitator sharing his proven tips and strategies on how positivity and trust relationships impact: leadership, sales, customer experience, employee experience and every measure of success in our professional and personal lives. Combining humour, the power of story and the latest positive psychology research, David 'comfortably disrupts', and inspires people to achieve at their best. 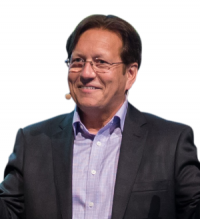 David travels nationally and internationally, working with top tier corporations and associations to deliver his high-energy, high-content and entertaining presentations, that wow audiences, shift mindsets and change behaviours. Supporting his two decades of conference speaking experience, David has degrees in Business and the Psychology of Adult Learning, an MBA, a Master Degree in Professional Ethics, and a Master of Science degree in Applied Positive Psychology. He is the author of the Amazon best-seller Intentionomics – the impact of our intentions on living happy, flourishing and prosperous lives, and his latest book released in 2018, The Art & Science of Building Customer Trust – How to fast-track trust and earn new, repeat and referral business. David’s personal, funny stories made the whole messaging very genuine and enjoyable which resulted in the great audience engagement we all felt throughout the presentation. I would highlight again how much it meant that you dedicated your entire day to observe the participants and listen to all sessions in order to gain a better understanding of the context. While your very detailed preparation was well grounded by the several phone briefings and personal meetings, you were still willing to come along and learn more about the organisation and our people. Nowadays this is a very rare experience and it is greatly appreciated. As the keynote speaker at our Franchise Conference, David was engaging, motivational and entertaining. The feedback we received was more than positive and we were impressed with how his presentation was tailored to our personal needs. David was the anchor speaker responsible for closing our 2016 Broker 2020 roadshow to over 1,400 brokers over 4 events nationally. 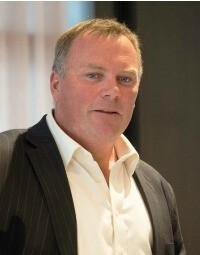 He proved a great choice due to his enthusiasm, humour and ability to tie the event outcomes together. I was very impressed by David's choice to attend the first full day of the Broker 2020 series, to ensure he successfully closed the event. I would not have any hesitation in recommending David for future events.